A Solvent-Free, Biological Parts Washer Degreaser. How To Become More Environmentally Friendly and Make Savings. A Helpful Guide. 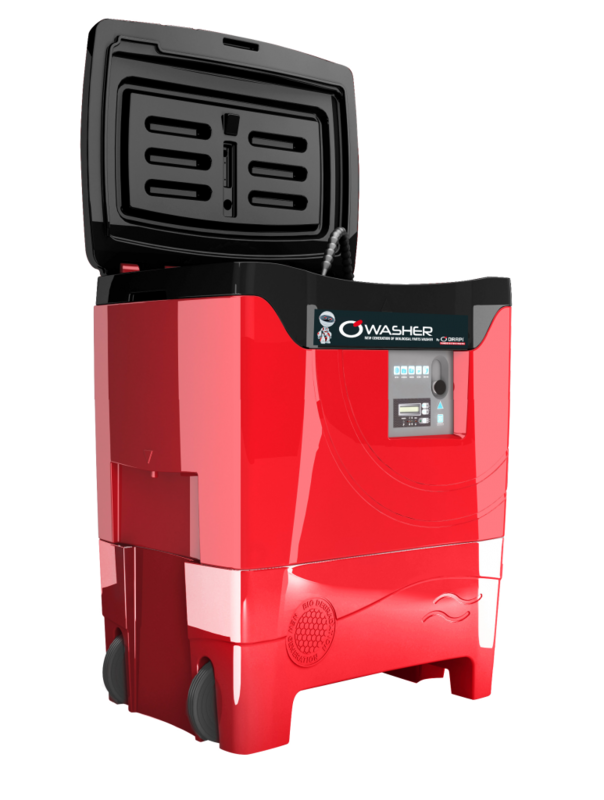 A new generation parts washer/degreaser for multiple application and industries. It uses concentrated biologically rich microorganisms to digest the oily wash water to constantly regenerate the bath. Safe for the operator and the environment. There are a number of laws and commitments that every business has to adhere to, it just depends on what type of business you are. For instance, if you’re a company who produces a lot of chemical waste which could be damaging to the environment, you’ll obviously be held to a lot stricter standard than an organisation, for example, delivering letters. The type of waste from old parts washers has to be disposed of in specially-managed waste facilities. It is not possible to dispose of hazardous liquid waste down drains or landfills in the UK. Why You Should Buy This Biological Parts Washer? There’s an ever-increasing need for us all to abide by the law and become more environmentally friendly and aware, It doesn’t use chemicals and solvents, It ensures the health and safety of the operator and well-being of the planet because the microorganisms constantly clean the bath. It also reduces and saves you money in waste disposal. (and using boost mode, you can increase this to 43°C if required), it has around a 30L bath and a brush for cleaning thoroughly between the parts. It’s a large parts washer, yet compact and robust. The heated parts washer benefits from a secure lid to limit any evaporation. The biological degreasing parts washer solution, along with a microorganism concentrated tablets provides you with around a month of cleaning, at which point you add another microorganism tablet. The microorganisms continue to clean the solution, breaking down the contaminants, so you don’t have to drain the bath like you would a regular old fashioned parts washer. 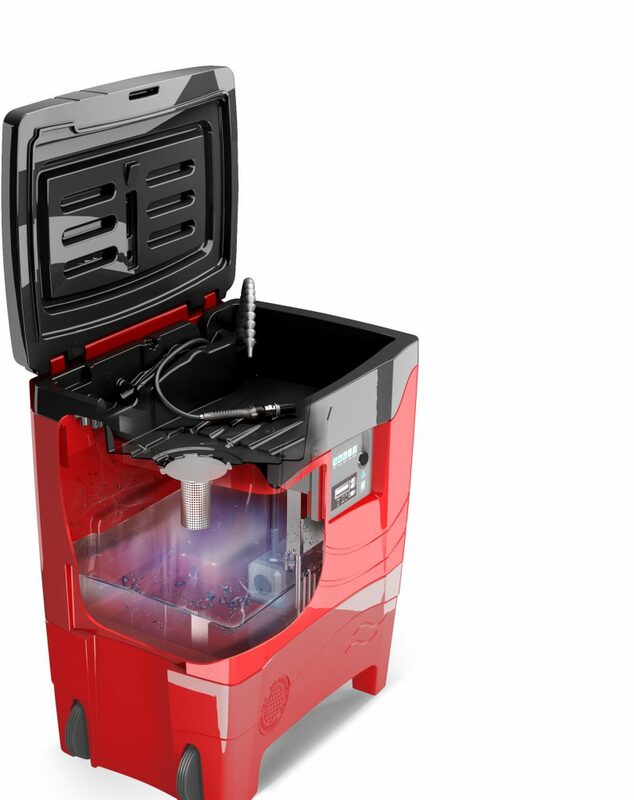 The solvent-free biological parts washer and degreaser is designed with the operator in mind, has a bath level indication and a very easy to drain, the integrated system included. The microorganisms continue to clean the fluid and break down contaminants, so you don’t have to drain the bath like you would a regular old fashioned parts washer. Where Can This Parts Cleaner Degreaser Be Used? Metal Working; For cleaning and degreasing all types of parts, tools. Glass Works: Cleaning grease moulds, cutters. Electrical/Electronics: Degreasing of motherboards, electrical components, housing. Textiles: Cleaning combs and looms, removing textile oils, weaving filters. Vocational Training: Degreasing components and parts for cars, motorcycles, agricultural machinery. Plastics Manufacturers: Cleaning moulds, extractors, bearings, removing hydraulic oils. Paper Manufacturers: Removing ink from conveyor rollers, press rolls, degreasing casings and gears. Printing/Screen Printing: Removing ink, cleaning rollers, ink wipers, ink mixers, spray rollers, various surfaces. Motorcycles: Degreasing housing of engines and transmissions, cylinder heads, pistons, valves, chains, sprockets, carburettor manifolds, forks, and shock absorbers and cleaning of other mechanical components. Rail: Spark plugs, wheel bearings and cleaning of other mechanical components. Shipyards: Cleaning of mechanical components and engines and cleaning of other mechanical components. Public Transport: Fleet maintenance, bus, underground, tramway maintenance and cleaning of other mechanical components. Car: Timing covers, oil pans, clutch housing, gearboxes, cylinder heads, pistons, valves, chains, sprockets, carburettor manifolds, forks. alloy wheels, and shock absorbers and cleaning of other mechanical components. Boats/Jetski: Maintenance of mechanical components, engine maintenance. Bicycle: Degreasing of chains and chainsets. Ski Resort: Degreasing and cleaning of rope grips for cable cars and chair lifts, cleaning of internal components and springs. Golf Courses / Racecourses: Maintenance of mowers, removal of oils, grass stains and cleaning of other components. Campers and Caravans: Highly effective on for removal of black marks on bodywork. Motor Sports: Timing covers, oil pans, clutch housing, gearboxes, cylinder heads, pistons, valves, chains, sprockets, carburettor manifolds, folks. allow wheels, and shock absorbers and cleaning of other mechanical components. Army & Police: Degreasing of arms and weapons and components, including barrel and breech. District Councils: Cleaning of maintenance equipment, Refuse lorries, sweepers, mowers. Public Swimming Baths: Cleaning pumps, boilers and apparatus. Water Treatment Plants: Cleaning pump, filters and pipes. Processing: Cleaning of pumps, milk treatment equipment, degreasing of metal moulds, degreasing of housings, plant maintenance conveyors, degreasing of gear reducers and effective cleaning of frying oils. Abattoirs: various cleaning of components. Quarries: Cleaning of conveyors, degreasing of hydraulics systems, maintenance of site machinery and dust removal. Equipment Hire Companies: Maintenance of heat appliances, dust removal from housings and filters. Motorway Construction Companies: Vehicle and equipment maintenance. Tunnel Construction: Cleaning of conveyors, degreasing of hydraulics systems, maintenance of site machinery and dust removal. Are there optimal hygiene and safety conditions? Remember that solvents affect health. Short-term effects of solvents can include; irritation of eyes, lungs skin, cause headache, nausea, dizziness and light-headedness. Does It have consumable cost control and is it a low cost to run? Are there microorganisms that continue to clean the fluid, breaking down the contaminants so you don’t have to drain the bath like you would a regular old fashioned parts washer? Is it kind to the environment? Trade Shop Direct has always been at the front of offering great new products and support for our industrial and commercial trade customers and we are proud to say that we the UK reseller for the industrial biological parts washer and environmentally-friendly cleaning solutions. We have a great choice for the modern and savvy user of today. We’re excited to now sell this new advanced biological parts cleaner and degreaser. Buy this Biological Parts Washer from us here and just leave the concentrated, biologically rich microorganisms, digest the oily wash water to constantly regenerate the bath in an environmentally-friendly way. Why is NEC so particular about tapes that can be used on their floors at exhibitions? Buy the correct tape and save the fine! With the improvement in weather and the start for the bank holidays around the corner, if you are a biker you are probably getting your iron horse cleaned up and ready for a blast in the sun! Have you thought about adding some adhesive grip material to your tank? It is possible to buy sheets/strips of material to stick to the sides or top of your tank (and other areas of your bike) so that you can get a better grip of the bike when cornering etc. Be warned though we have found a number of people buying skate board tape or even anti-slip floor tape as a cheaper alternative. DON’T! This tape is like sand paper and will soon wear through your expensive leathers with no mercy! If you are looking for a cost effective solution without the need for new leathers every month then take a look at www.tradeshopdirect.co.uk. Used by a number of sidecar racers this tape has a textured surface without being abrasive, it is clear and can easily be cut to length and shapes if needed, it also has waterproof adhesive. The passenger obviously moves around a lot during a race, with this tape in key areas they are assured of grip even in wet conditions. Typically it is used on the sidecar floor, on the top of the bike rear and down the side where the hand holds are so that the inner arm can grip, and with the tape being clear it blends in to the bikes livery. The tape is sold in lengths from 1m to 18m and is 50mm (2” in old money) wide and available online with next day delivery. Disposable Gloves – What you need to know! It is amazing how many types of disposable gloves there are on the market, Nitrile, latex, vinyl, powdered, powder free and then there are the colours, which do you choose? 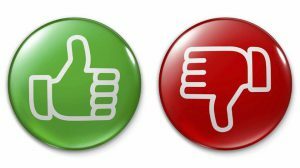 With luck this blog will help explain the differences and allow you to make an informed decision on which to buy for the job in hand (punn intended). Material – there are 3 types of material used for disposable gloves, Nitrile, Latex and Vinyl, but what is the difference? Nitrile, is a synthetic rubber that contains none of the proteins that are present in natural rubber eliminating protein sensitisation that can occur in the wearer causing skin conditions and allergic reactions. Latex, provides the characteristics of natural rubber in terms of being soft, pliable and strong, with exceptional elasticity, however there is a percentage of the population who are allergic to Latex, so this should be a consideration if buying for a workforce. Vinyl, as with Nitrile Vinyl gloves do not contain the natural rubber proteins. Vinyl gloves are a cost effective solution if gloves need to be frequently changed. Powder or Powder Free? Most of the time this comes down to personal preference, however there are other factors to be aware of. A powder free glove will be more expensive as they are harder to manufacture compared to powdered gloves. The powdered gloves make it easier to donn the glove and remove them afterwards, it will also help with perspiration. However, the powder free ensure less risk of contamination within a food or chemical environment and also lessen the risk of alergic reactions within the wearer. Acceptance Quality Limit (AQL) – Gloves are tested within the factory using with air or water to check for microscopic holes. The AQL value is generated as a percentage of the chance that they might fail. If 100 gloves are tested and 1.5% have microscopic holes, then the AQL rating is 1.5. An AQL of 4 means there is a 4% chance of microscopic holes, so the smaller the number the higher the quality fo the gloves, if you are in a medical or chemical industry you would look to purchase gloves with the lowest AQL value. Colour – This usually comes down to personal preference, however when it comes to the food or catering industry blue is required as any gloves that make it into the food can easily be visually detected you don’t find may food stuffs that are blue! Still none the wiser in which glove to choose? You find the each industry has pretty much adopted their own colour and material, so other than the option of powdered or not, and the AQL value, this should help. White Nitrile – Typically used in Dentistry, Hospitals and Pharmaceutical roles. Black Nitrile – Typically used in the Automotive industry and Tattoo parlours. Blue Nitrile – Used in most industries but a requirement for Food Processing and Catering. Pink Nitrile – Typically used by Beauticians. Latex – General cleaning usage, colour tends not to be important. Vinyl – General usage as with the Latex, however the blue gloves are used in catering.